You probably need to eat more fat. Okay well, there are a few big caveats with that; you need to eat more of the right fats, less of the wrong fats, and less of the type of carbs that quickly turn to sugar (and truthfully, there are a lot of other things that contribute to a healthy body, not just the type and quantity of fat you eat but we’re talking about fat here today!). However, this advice may not necessarily apply to you. How do you know if I’m talking to YOU? If one or more of those apply to you, you need to read on! Why would eating fat have anything to do with all that? Especially the excess body fat? Wouldn’t that be a great reason NOT to eat more fat? Our bodies need dietary fat. Every cell in the body is made with lipids, aka fat. Dietary fats give us fuel that we can use for energy, they provide structure for our cell membranes, protection for vital organs, act as messengers, provide the raw material for hormone production, and allow our bodies to anti-inflame. Our brains are made of nearly 60% fat. It’s an absolutely vital part of our bodies. Fats are more satiating, they don’t spike blood sugar or insulin, and they provide long-lasting and slow-burning energy. If you feel like you need to eat every couple of hours, your body is likely mostly running on glucose (sugar) and not able to efficiently burn fat. When we eat fat it doesn’t just turn to fat on our bodies. It also doesn’t just clog up our arteries. Metabolism is way more complicated and nuanced than that but it is still a common thought process that fats, particularly saturated fats, will raise the fat in your blood and clog your arteries. If that were the case that would actually show up in studies but time and time again, research is showing the opposite. Diets higher in fat, even saturated fat, result in better blood lipid markers. Sure, eating saturated fat may increase your cholesterol but it might actually be doing so in a good way. Eating the wrong types of fat is hard on your body. It directly adds to inflammation. It contributes to damage in the arteries (which does increase heart disease risk), damages the gut, and stresses the liver. The body does not efficiently burn inflammatory fats. Okay, so what are the right kind of fats? To answer that, let’s talk briefly about some of the different classifications of fats. Stay with me because this really matters for your health – your heart, brain, and waistline all need this info! Dietary fats are classified as saturated, monounsaturated, and polyunsaturated fats. These are just the different type of fatty acids that make up those fats. And actually, all fats are some combination of the different classifications. We just call them saturated, mono, or poly based on their primary fatty acid composition. Let’s break them down a bit. Saturated fats are very stable – they can handle high heat and are good for cooking. The fatty acids don’t break down or degrade easily so when you eat them they maintain their structure and good properties. Your body can use saturated fat. This is the type of fatty acids largely found in animal meats, dairy fat and tropical oils like coconut and palm. Monounsaturated fats (MUFAs) are relatively stable and can handle some heat. They don’t break down too easily but aren’t quite as strong as saturated fats. They are heart-protective and are the primary fatty acids found in extra virgin olive oil, olives, macadamia nuts, avocados and some other nuts. This is where things get a little more confusing. PUFAs are pretty unstable and can be damaged easily by heat and light. When they are in their whole-food form there is more protection but when they are separated into just the oil they are easily damaged. There are two types of polyunsaturated fats that are essential, meaning we have to get them from food because we can’t produce them on our own. These are omega-3 and omega-6 fatty acids. Among other roles, omega 3 and 6 polyunsaturated fats enable the inflammatory and anti-inflammatory process in our bodies. We inflame so we can anti-inflame. Some omega-6 fats give us the ability to inflame while omega-3 fats allow us to anti-inflame (some omega 6’s do as well). Ideally we should have a ratio of 1:1 omega 3:6. With our typical western diets we are closer to 1:16 omega 3:6. This means we are chronically inflamed without the ability to anti-inflame. No wonder we’re always sick, sore, swollen, and in pain! Whole food forms of omega 3 fats include salmon, sardines, mackerel, herring, and other small fatty fish, the fat in grass-fed dairy and beef, pastured eggs, and plant sources like chia seeds, walnuts, and flaxseeds. Whole-food forms of omega 6 fats include pumpkin seeds, sunflower seeds, pine nuts, brazil nuts, peanuts, hemp seeds, pistachios, almonds, cashews, and the fat in dairy, beef, poultry, eggs, and fish. These whole-foods can withstand some heat. You can cook salmon and not destroy the delicate fatty acids (unless you really overcook it). You could lightly roast some nuts or seeds and not destroy the fats. But, when the oils are separated out of these foods they are very easily damaged. That is where the big issue is. Not only do we end up eating a very high amount of omega-6 fats from oils such as corn, soy, sunflower, and safflower, but they are easily damaged by heat and light! The very process of extracting them from the seeds/beans/grains themselves involves high heat. And then they’re used to cook or fry restaurant or processed and packaged food, further breaking down and damaging those delicate fatty acids. When we eat those fats, they directly add to damaged cells, inflammation, and our poor health. This, combined with our high carb & sugar diets is a recipe for disaster. If you want to clean up your diet and long-term health, you MUST pay attention to the types of fat and oils you’re consuming. This is so important. When it comes to fat, quality and processing matter. Not all fats and oils are created equal. Refined and rancid soybean oil is very different than a cold-pressed extra virgin olive oil. 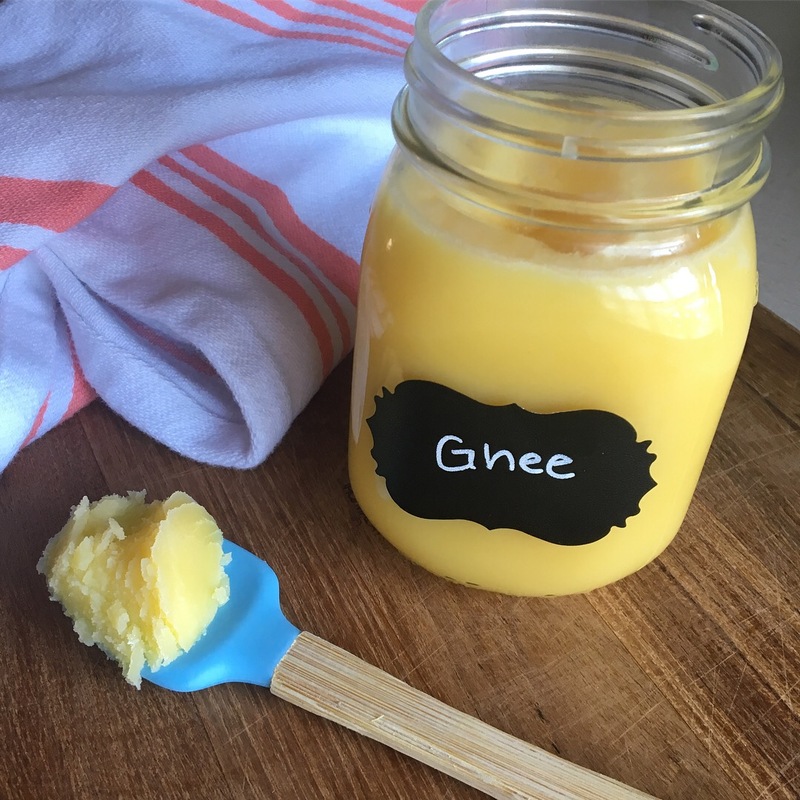 Or butter or ghee from a grass-fed cow. Or virgin coconut oil, or cold or expeller-pressed avocado oil. These behave very differently in the body than the soybean oil or other industrial oil like corn, sunflower, safflower, or canola. You can start by reading labels. Check everything you buy and start paying attention to how often you’re seeing canola, soybean, sunflower, safflower, or cottonseed oil. I’d be lying if I said I NEVER have foods cooked in those oils but the more you control the types of fat going into your body the better. So, that’s the first step – being aware. Second step is to swap out the fats and oils in your house. Canola, soy, corn, and “vegetable” oils, and crisco need to go. You don’t need them! Replace them with butter (or my favorite, ghee), traditional animal fats like pork lard, beef tallow, chicken or duck fat (though with these animal fats quality does matter so the sourcing is important), virgin coconut oil, extra virgin olive oil, and avocado oil. 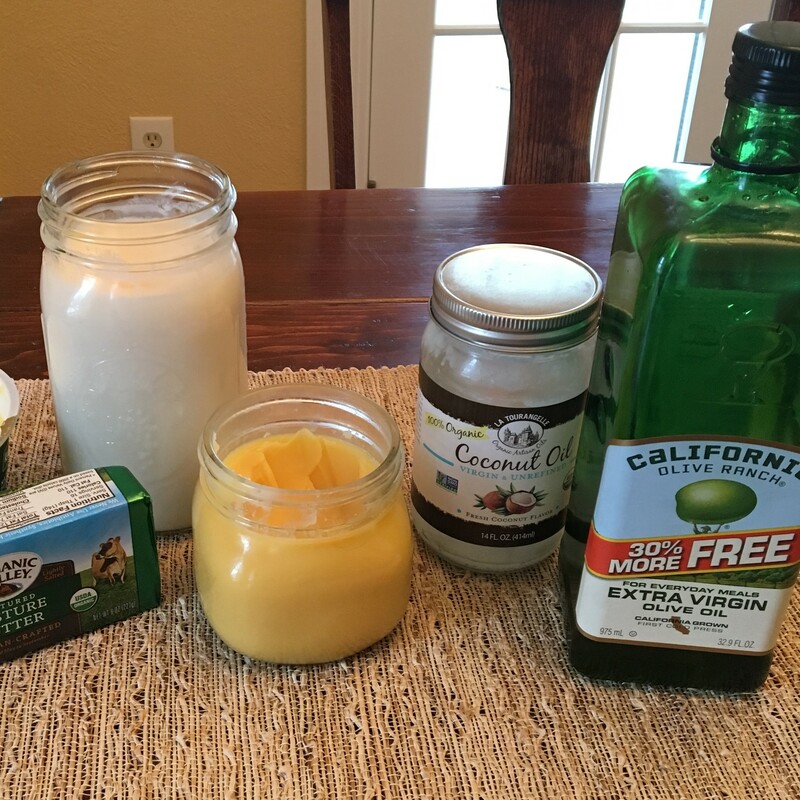 There are even plant-based fats from sustainable sources you can use in place of Crisco. Stock your pantry with those and you will be doing yourself and your family a huge favor. Third step is mostly avoiding processed food. This is easier said than done but those chips, pretzels, cookies, muffins, breads, sauces, dressings, etc. mostly all have those bad fats in them. Not to mention the sugar and other ingredients. I know how addicting those foods can be but taking baby steps toward getting them mostly out of your diet is truly going to have a lasting impact on your health. Your body needs those good fats. Cook with the stable saturated or monounsaturated fats if it’s not super high heat. Eat salmon, raw or dry-roasted nuts and seeds, avocado, olives if you like them, and pasture-raised animals if you can. Give yourself the freedom to add butter to your vegetables and have some bacon sometimes! Make your food taste good so that you won’t need those processed snacky foods. Make your body happy by filling up on the good fats! You may be surprised how good you’ll feel!